Lara is dedicated to practising mindfulness as a way of keeping herself healthy and remaining balanced as a busy mother and running a company. She has used mindfulness as a solid coping mechanism when life has been challenging. 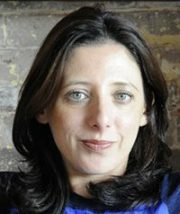 Lara has had 14 years’ experience working in the community sector with young people and the homeless. 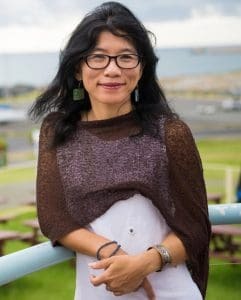 She has an intense sense of social justice and believes everyone needs to have access to professional development and stress reduction techniques to work at their optimal and achieve a healthy life. Lara also offers equine assisted learning (working with horses through mindfulness) to a wide variety of audiences. Lara’s tertiary background is psychology/community work; she has a Diploma of Youth Work and is also a certified trainer and assessor. 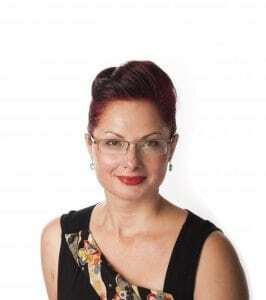 Lara has worked under government and non-government organisations in various positions from volunteering, working in drop-in centres, residential services, as a school counsellor/education and working directly with people with drug and alcohol issues to managing an organisation she founded. She has had 10 years’ training experience along with designing and running workshops for many different audiences. Feedback from participants indicates Lara’s facilitation ability creates a warm, interactive environment for participants to learn and be heard whilst maintaining an important level of professionalism. Lara’s company is Community Training and comes from a strength-based approach right through all levels of an organisation from direct client contact to team dynamics to administration and allows organisations to perform at an optimal level. 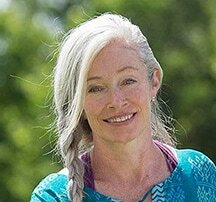 Linda started living with Mindfulness around seven years ago, but it feels like it has been in her life forever. Linda truly believes that mindfulness works and is a lifesaver. She was introduced to mindfulness practice when attending to her own mental health. Living a life of non-striving, acceptance and open curiosity has allowed her to actually live her life. She knows it helped her and knows she can help others to improve their life experience with mindfulness also. Linda is a Registered Nurse with post graduate qualification in Addiction Counselling. She worked as a Nurse Education Consultant for several years before choosing to leave structured employment and begin a small home-based therapy business in 2015. Symmetry Australia offers mindfulness holistic counselling, and combines mainstream and alternative therapies, such as Hypnotherapy and Chakra energy work. She is a Body Image Movement Global Ambassador, which follows the ethics of embracing ourselves as we are, in the skin we are in and with a focus on mental, physical and emotional health regardless of how your body looks. She developed a “MIND-FIT Mindfulness Bootcamp” which combines mindfulness techniques with physical exercise to improve distress tolerance emotionally, physically and mentally. Linda recently moved from Darwin where she had lived and worked since 1993. She now delivers her services from her home in Gracemere, just outside of Rockhampton. She loves animals and has three indoor cats and a small papillon. In her spare time she likes to read, walk and continue her own journey of self-improvement. Linda operates Symmetry Australia in Rockhampton, Australia. Mel has been working in the field of education and community welfare for over 20 years as a teacher, police officer and social worker. She is currently working as a social worker across a mainstream and alternative school campus. 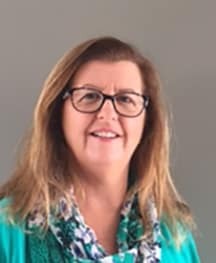 As well as her work within schools, Mel facilitates training for community service providers in respectful relationships education for young people in conjunction with NAPCAN (National Association for the Prevention of Child Abuse and Neglect). Mel began her mindfulness practice as part of a large university study to support counsellors working in the area of child protection. The study introduced workers to mindfulness as a way to enhance overall wellbeing and cope with the significant stressors and demands that arise when working with traumatised individuals and families. Since that time, Mel has undertaken further study in mindfulness completing a year-long certification course with Mindful Schools and 200hrs Yoga Teaching Training. 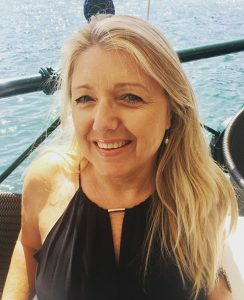 As well as maintaining her personal practice, Mel is passionate about holistic wellbeing and incorporates mindfulness into her work with both young people and adults. She also has a particular interest in trauma-informed practices that allow for consideration and understanding around the ways that mindfulness can be safely utilised to support individuals impacted by trauma. Mel is married to a Police officer, and is mum to four teenagers. Working fulltime with a busy family, Mel understands the need for peace and clarity in an often crazy and chaotic environment. Mindfulness and a daily yoga practice definitely help to keep her sane and she looks forward to sharing the ways that mindfulness can support your health and wellbeing in everyday life. In this regard, she enjoys utilising the following mediums: Seminars, Classes, Workshops and Speaking; Astrological Diagnosis; Personal and Online Group Mentoring; Teleseminars and Webinars; and Blogging. Gustavo is the founder and director of AMAR Centre for Growth and Mindful Living, an organisation devoted to bringing forth what is best in human beings and bringing to life the applied art and science of happiness and living a meaningful and fulfilling life. He is a psychotherapist, has undertaken three degrees in Psychology, is an experienced mindfulness meditation instructor and educator, a yoga teacher and a keen advocate for positive change in individuals and society. 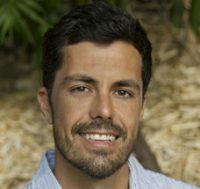 Along with introductory courses, Gustavo also runs the Mindfulness-Based Stress Reduction program (MBSR), Mindfulness at Work and Mindfulness in Schools programs, and Mindfulness Retreats in Nature on the Gold Coast and overseas. He assists individuals and professionals of diverse backgrounds to better deal with the stresses from work and life, increase resilience, reconnect to their true values, and live a healthier and more balanced and satisfying life. His psychotherapy work is largely influenced by the field of Positive Psychology, which seeks to identify and expand on human strengths, maximise potential and performance, and promote fulfilment and vitality in life. 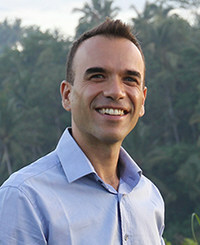 Gustavo’s meditation practice stretches over 16 years and his work with mindfulness meditation is informed by extensive training and is based on both experiential and academic grounds. He brings much warmth, presence, clarity and passion to assisting others in cultivating mindfulness in their lives. In the domain of his own life, Gustavo fully embraces living a meaningful, empowered, adventurous, healthy and fulfilling life; a life based on his values, authenticity and creativity! 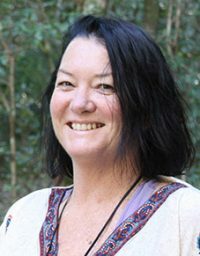 Paula under took a two-and-a-half year training in Buddhism for beginners at Chenrezig Institute on the Sunshine Coast, Queensland. After four years of yoga, she also decided to commit to a two-year traineeship with the Gold Coast Yoga Centre, to share and guide others through the waves of life. In this time she also attended 10-, five- and three-day silent retreats in the Goenka Vipassana, Tibetan and Zen Buddhism traditions. 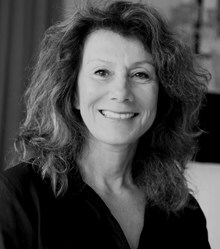 Jude is an experienced Mindfulness practitioner and teacher. She started practising over twenty years ago and attended retreats regularly. It was when she first went to India to meditate and practise Mindfulness that it became a foundational practice in her life. 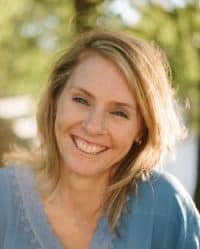 For the past ten years she has been sharing her understanding of the mindfulness and meditation through online mentoring, groups and teaching on retreats in the Insight tradition. Jude’s approach is non-traditional and creative. 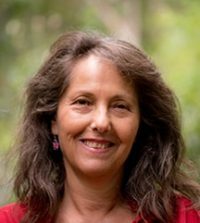 She likes to use nature and the arts to help people find their unique way of bringing meditation into their lives. She is an advocate of what is called taking the practice off the cushion. 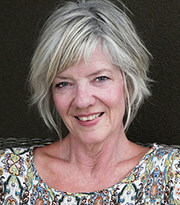 Jude is mindfulness-based somatic psychotherapist, life coach, artist and small business owner. Along with the courses at Mindfulness Works, she runs mindfulness courses, day retreats, workshops and one-on-one mindfulness coaching. 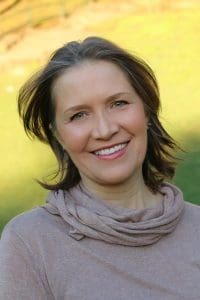 Her calm manner invites relaxation and slowing down and she is passionate about teaching people to live with deeper awareness. Hannah discovered mindfulness as an antidote to the stress of working with various environmental campaigns: UNDP, Greenpeace and Resurgence & Ecologist Magazine (UK). She took up regular meditation and yoga because she noticed it made her day better and helped her to recognise the spiral of negative thoughts that she often found herself in. However, when diagnosed with cancer at age 29, she discovered the incredible healing potential of her body-heart-mind. She turned towards the pain, grief and uncertainty of illness, embarking on a journey of radical self-care and learning to be in her body exactly as it is. Read Hannah’s story about her journey. Hannah teaches Mindfulness courses, weekly yoga classes, is a sought-after public speaker and has co-facilitated a weekly meditation group and retreats in the tradition of Thich Nhat Hanh. Dip Som Psych. Grad Cert Ad. Ed. 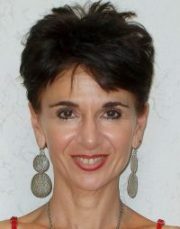 Margie is lead facilitator with Quest for Life Foundation and a Clinical Psychotherapist in private practice. 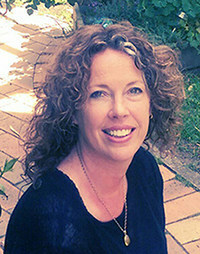 She is the founder of Heartnicity which provides transformational learning programs across Australia. All of Margie’s work springs from her commitment to a life purpose to teach with consciousness, compassion and gratitude. Margie has facilitated thousands of people in their quest for peace and happiness through learning programs based on contemporary neuroscience, positive psychology and a holistic approach to health. 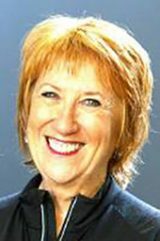 Margie values authenticity and engages her audiences with humour and warmth to inspire people to take charge of their own happiness using conscious choice. She is endlessly energised by the incredible human potential we possess to develop across our entire lifespan. Margie’s book Getting to the Heart of Stress is a practical guide to a joyful, conscious life that draws on her own life experience as a woman, partner, mother, friend, psychotherapist and educator. This book introduces The Heartnicity Method practices of Awareness, Acceptance and Action for profound personal development. 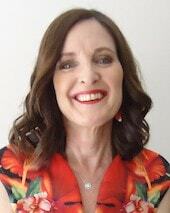 Margie holds a Graduate Certificate in Adult Education (UTS) and Diploma in Contemporary Somatic Psychotherapy and is a Clinical Member of PACFA Australia. Lydia teaches mindfulness to all sectors of the community, in corporate settings, healthcare and in schools. 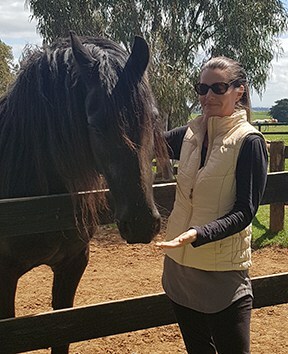 She offers a range of workshops and courses including Mindfulness-Based Stress Reduction (MBSR) and specialised programs to teachers and students of all ages with her company Be Still. Please refer to www.be still.com.au for more information. 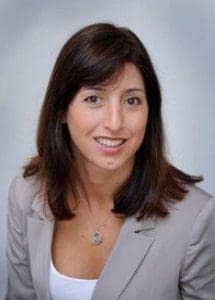 Tiffany is a qualified psychologist and accredited executive coach with the International Coaching Federation (ICF). 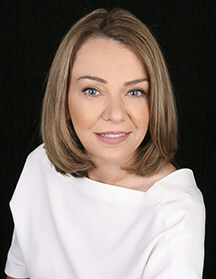 She has over 20 plus years of experience working with individuals and groups across Australia, Asia Pacific, the USA and the UK. 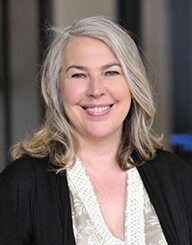 Her work is underpinned by a focus on positive psychology, mindfulness and acceptance commitment therapy (ACT). She is passionate about supporting others to enhance their levels of psychological well-being and happiness, both personally and professionally. She derives great pleasure from positive shifts her clients experience around inner peace and joy, and authentic, meaningful connections as a result of a consistent mindfulness practice. Having practised yoga and meditation for the past 20 years, her formal daily mindfulness journey began over five years ago. She has also introduced the concepts and practice of mindfulness to many family and friends, many of whom have embraced it as a way of life. She is excited about continuing to deepen her own mindfulness practice and supporting others in their journeys. 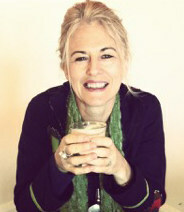 She lives in Sydney with her husband and two daughters where she runs a positive psychology practice. She loves kick-boxing, cooking, travelling, reading and time with family and friends. 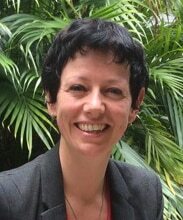 Janette is a highly experienced lawyer and former senior Commonwealth Government public servant. 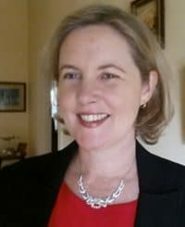 She was the Chief Executive Officer of the Royal Commission into Institutional Responses to Child Sexual Abuse from November 2012 until July 2014. 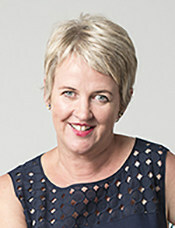 Prior to that, Janette was the Director-General of Emergency Management Australia, responsible for coordinating Australia’s response to natural disasters and national security incidents. Janette learnt mindfulness and began meditating in 2006 after experiencing panic attacks and brain freezes due to a high level of work stress and anxiety. At first, meditating seemed like just another thing on the ’To do’ list, but Janette kept it up because she felt and saw the benefits. She felt more able to slow down and enjoy time with her family. Time didn’t seem to pass in such a blur, she learnt to stop multitasking and focus on one thing at a time. She also felt less impatient and critical of the people around her. At work, Janette gained a greater level of focus and clarity and an ability to connect more fully with her staff. She believes that her meditation practice made her a more compassionate leader and and enabled her to not just survive but to be successful in very demanding jobs. Janette began teaching mindfulness in 2015. She especially enjoys teaching people who think that their mind is too busy to meditate and people in stressful jobs who want to be happier without losing their edge. 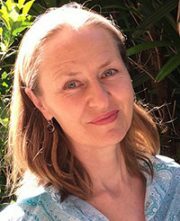 Anna was first introduced to mindfulness through yoga over 10 years ago and finds her practice provides her with the mental clarity, resilience and energy required to support her family. 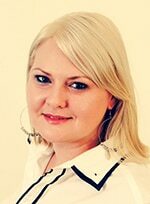 Anna is passionate about enhancing the mental, emotional and physical wellbeing of others as well as sharing mindfulness and its benefits with others as it has given so much to her. With over 15 years corporate experience in Human Resources and Organisational Change, the elusive work-life balance has been an ongoing challenge for Anna and she has turned to meditation and breath work as a coping mechanism. Now Anna coaches others on the power of bringing awareness, focus and attention into their lives. 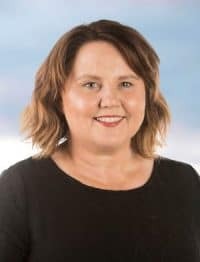 Anna holds a Bachlor of Commerce majoring in Human Resource Management and Marketing from the University of Wollongong, is Prosci Certified in Change Management and is a qualified workplace trainer (Cert IV in Training & Assessment). She lives on the south coast of NSW with her husband and three small children. She loves walking, yoga and sourcing fresh produce from the local farmers’ markets. 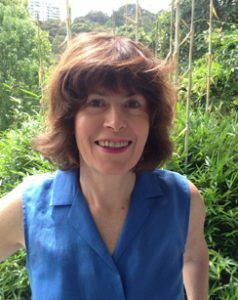 Denise is an experienced mindfulness practitioner and regularly uses meditation and yoga to maintain and improve her mind and body health. 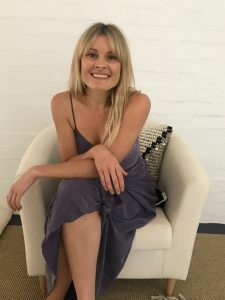 She has used the training she received from a Buddhist teacher in Canberra to lead mindfulness classes for children and meditation sessions for small groups of adults. She has been using mindfulness and meditation in her daily life for more than a decade and accepts that it is a lifelong practice from which we can learn how to cope with the stresses and strains of modern life, but at the same time, grow spiritually. She is a qualified and experienced teacher with a background in science who has been tutoring and mentoring young people for many years. She has used this experience to bring a mutually respectful, supportive, and positive environment to her teaching so that each individual can feel comfortable and relaxed enough to focus on their own practice. 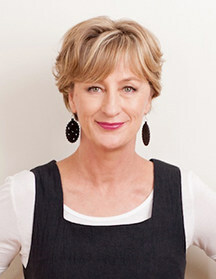 Denise has lived and worked in Australia, England and Germany. She has explored mindfulness through both religious and secular teachings and with many cultures and traditions through her travels to every continent. 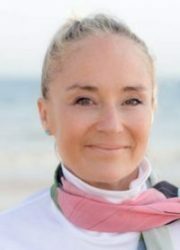 She strongly believes that mindfulness goes beyond all our differences of faith or custom and helps us to become more connected to our human family, and that of the living planet. 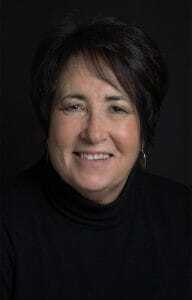 Denise is happy to work with individuals, small groups or classes, in private, and in workshop or class settings. She is particularly interested in working with children and young adults; to teach them how to use mindfulness as a tool to help cope with the challenges facing young people in this modern world. 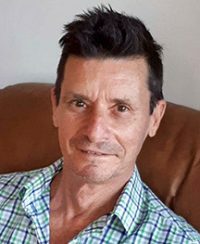 Neil is a passionate mindfulness educator and presenter who specialises in helping people develop mindful living skills in an exploding information age; a time when having skills in stress management, resilience, self-awareness and self-regulation are paramount for peak performance both professionally and personally. 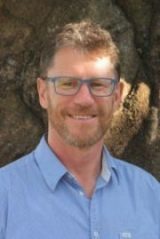 Neil is a qualified educator for Mindfulness Works, the largest network of mindfulness facilitators and mindfulness public course providers in Australia and NZ. He also specialises in providing corporate custom mindful solutions tailored to meet an organisation’s specific drivers and requirements. 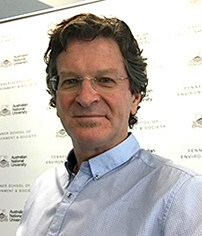 Neil has worked with the prestigious ANU University, National Health and Medical Research Council and Murray Darling Basin Authority as part of their staff well-being programs. He delivered high performance focused mindfulness training for an elite cross fit gym, did staff training for aged care and a mental health care organisation, and a number of public service and private organisations. Neil originates from a corporate background so he understands corporate challenges, structures and cultures. He has experience in both public and private sectors across a variety of businesses and areas, including information systems, business intelligence, data analytics, systems management, business improvement, presenting and training. 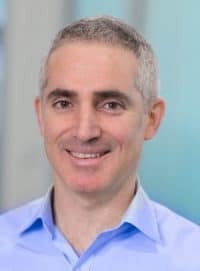 He has worked in senior management, held both senior consultant and technical roles across Airservices, ACTEW, Eden Technology and Asset Services. Neil developed his mindfulness living skills over the past 20 years, growing both knowledge and application through a significant number of training courses, mentoring, lengthy experiential meditation retreats, practices and workshops. He has qualifications in Mindfulness, Coaching, PSYCH-K Master facilitation, Workplace Training, Lean Six Sigma (and numerous other corporate and technical areas). He has trained with Dr Russ Harris to an advanced level in the mindfulness-based Acceptance Commitment Therapy (ACT). He has also completed a PTSD awareness course. Neil’s latest exciting area of study is live workshops with Dr Joe Dispenza (neuroscientist) and learning the in-depth neuroscience behind the mind, body and meditation practices. Neil is committed to an ongoing program of professional development and sharing his experience with others. Anita first came to Mindfulness many years ago as a means of managing stress, improving attention and becoming fully present in daily life. Since that time, she has also sought to incorporate Mindfulness into her therapy and weave it into the leadership and personal development programs that she designs. 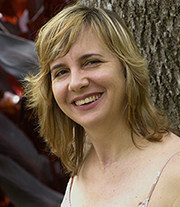 Anita continually seeks to deepen her own learning and practice. Coco also has an extensive background in mindfulness. He regularly attends workshops and retreats in these mindfulness-based modalities. 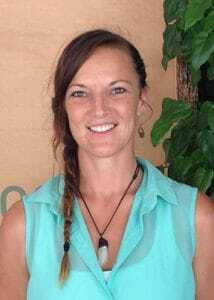 She is now a qualified teacher in Mindfulness-Based Stillness Meditation through the Gawler Foundation and has completed the Google Search Inside Yourself Leadership Mindfulness Program. 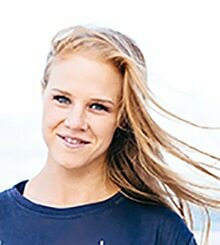 Jen has attended the Monash Mindfulness for Peak Performance course as well as courses in Neurobiology, Genetics and Neuroscience. Fiona is a seasoned traveller – literally and metaphorically. 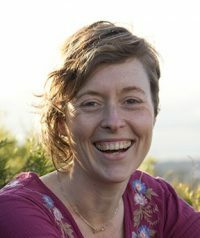 After studying Environmental Science and Education, Fiona enthusiastically plunged into teaching teenagers, developing sustainable policy and practice in the government and non-government sectors. Burnt out by 33, she swapped her briefcase for a backpack. During 5 years of travel, Fiona studied mindfulness with many teachers and traditions around the world. Over 20 years, Fiona has developed her own unique approach as a therapist. 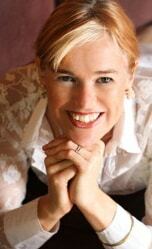 She offers personal consultations, group and corporate training and retreats globally. Fiona also offers advanced practitioner training to other therapists. Time alone in nature has always provided essential balance for Fiona and she chooses to live in a small town with a forest at the end of her street… (Yep, she was into forest bathing before it was a thing). As a single Mum, running her own business, Fiona is challenged to remain mindful every day. She maintains her sanity by taking micro vacations in her hammock. Fiona is also fascinated by ancient cultures, human origins and the meaning of life. She researches, writes and presents about these things in her spare moments. Fiona is deeply passionate, playful and practical. She loves empowering people with mindfulness and helping them to make the most of the adventure that is life. She recommends everyone buy a hammock. You can learn more about Fiona at www.fiona-lee.com or on Facebook; Of The Wings. 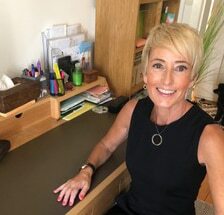 Teacher, tutor, speaker and wellbeing coach since 1999, Annie works one-on-one and in workshops to help with stress management and encourage people to live their life with purpose. 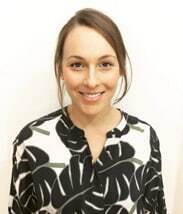 Trained formally in MBSR-T (Mindfulness Based Stress Reduction for Adolescents) and ACT (Acceptance and Commitment Therapy), Annie believes that living a life on purpose whilst using mindfulness skills in everyday life, is the only way to experience real joy and success. 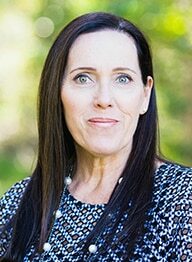 Noeline Robinson is a Hobart-based Clinical Hypnotherapist, Coach, Mediator and Meditation Facilitator. 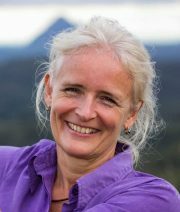 Noeline has over the past 30 years studied, explored and practised many schools and philosophies of Meditation practise. She is fascinated by all that is possible and the plasticity of the human brain. 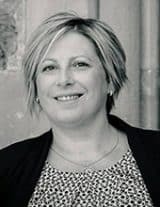 Meg Sanderson, founder of Sonder & Co is a qualified Counsellor, Nurse and Mental Wellbeing Coach. With an ability to listen to and understand that each and every single one of us is living a life filled with our own chaos, Megs’ passion is to help others to own their story, re author their story and to continue to create a story that they want to live. 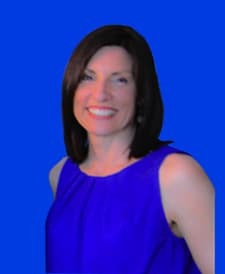 Meg has extensive experience in dealing with individuals and their daily challenges and hopes to continue to empower others to connect to the core of who they really are. Offering counselling and mental wellbeing coaching to those who may be seeking some extra support and guidance in life, Meg also facilitates meditation classes and mindful based workshops to the community. 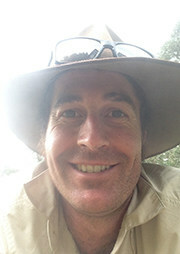 Karl founded Mindfulness Works New Zealand in 2013. He has been practising mindfulness and meditation for over 10 years. 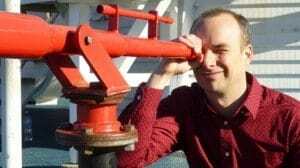 During that time, Karl has worked one-on-one as a key mindfulness and meditation teacher and has attended numerous multi-day silent insight meditation retreats. Karl was involved in assisting establishing the Wellington Insight Meditation group. 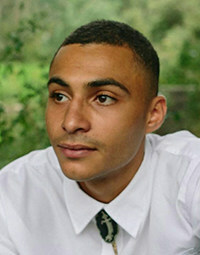 His principle teachers have been Stephen (Nyanaviro) Archer, Shard Rogell and Jeremy Logan. Mindfulness Works New Zealand runs 30 introductory courses every month, with over 600 people attending on a monthly basis. Mindfulness Works New Zealand has over 30 facilitators involved in delivering mindfulness courses throughout the country. 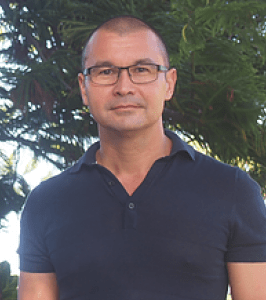 Karl founded Mindfulness Works Australia in 2015, with the intention of bringing low-cost, practical, non-religious and effective introductory mindfulness and meditation courses to the whole of Australia. 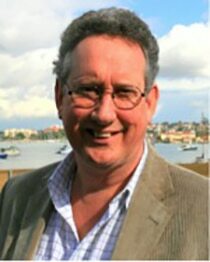 Karl has an honours degree from Victoria University and has helped found three successful businesses. He lives on the Sunshine Coast in Australia with partner Claro and two cats, Nico and Shanti. He has a sweet tooth, a sweet personality (yes, he did write this) and likes craft beer.